Dessert just got a healthy makeover. 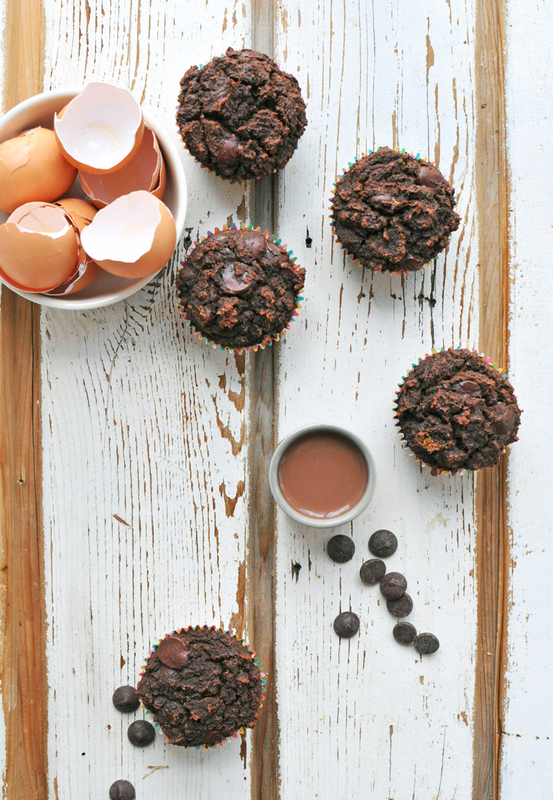 These triple chocolate cupcakes are grain-free, gluten-free, packed with good-for-you ingredients like eggs, coconut flour, and even zucchini (!) 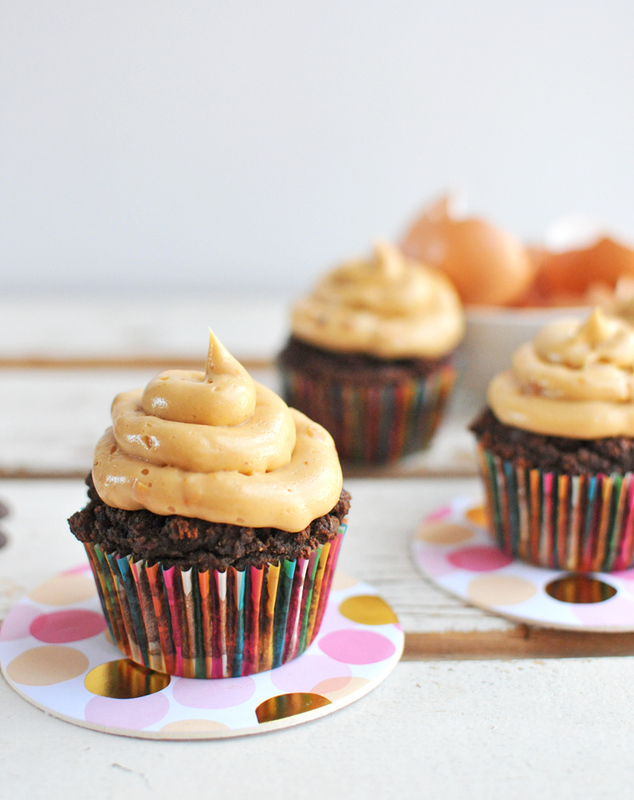 and topped with a creamy peanut butter frosting! I've been experimenting lately with different kind of flours (loving quinoa flour, almond flour, and coconut flour), transitioning to a more gluten-free lifestyle, and continuing to focus on whole real foods to nourish our bodies. Not necessarily because wheat is terrible for everyone -- though some would argue it is, but because quinoa and almond and coconut are so darn GOOD for us! That's been my philosophy all along: to incorporate nourishing superfoods into every meal. It all started when I came home from Costco with the most giant bag of organic coconut flour -- that was actually affordable (crazy, I know!!). What's so great about coconut flour? It's naturally gluten-free and full of healthy fat and protein. NOTE: If you've never used it before, please know that alternative flours like coconut flour can be a bit finicky to bake with... so be sure to follow the recipe and instructions exactly! One of the things I love about using coconut flour is that it is super absorbent, so you can use a LOT of wet ingredients... ie. an entire zucchini, 1/2 a cup of chocolate milk, and SIX eggs - talk about a protein boost! 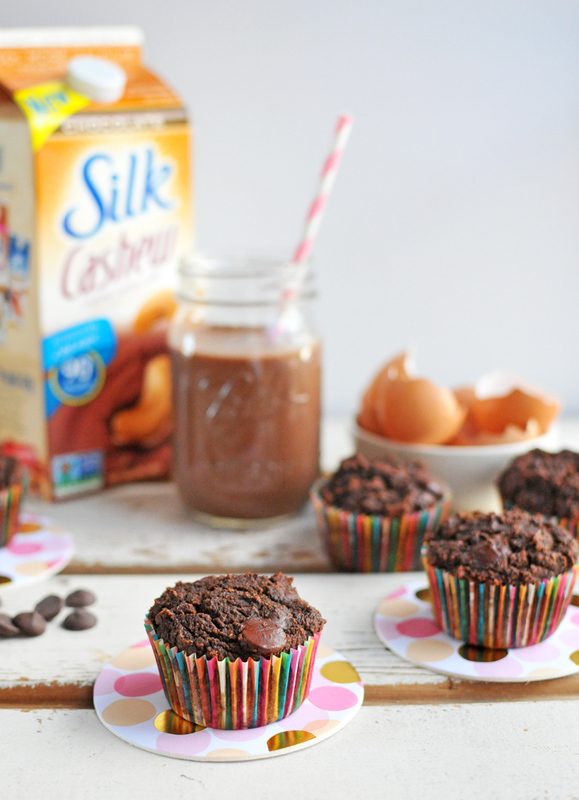 Speaking of chocolate milk, Silk's new chocolate cashewmilk is my favorite! It's irresistibly creamy with 1/3 less sugar and 1/2 the calories of lowfat chocolate dairy milk. AND it's great for baking OR drinking by the glass. 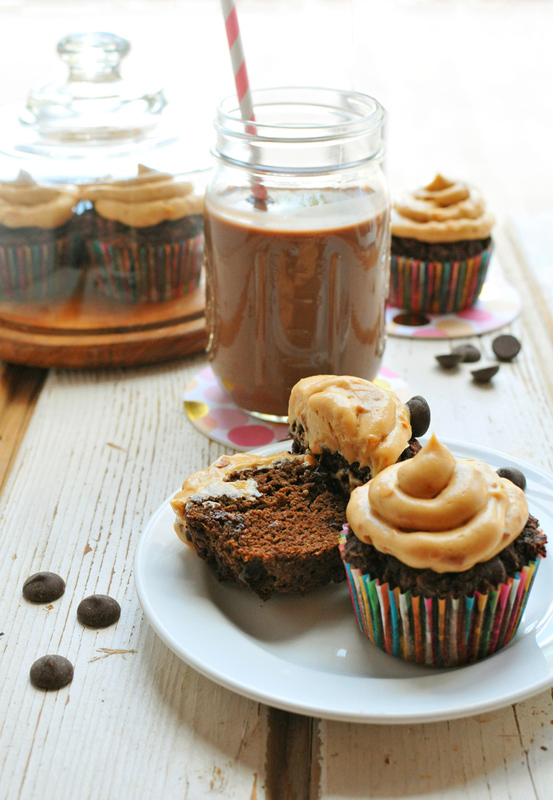 At first I made a paleo frosting to go with these paleo cupcakes (it had coconut oil and honey and almond butter and a few other things), but I wasn't in love. It didn't have a great texture. Though if I was strictly paleo, it would have sufficed. But I'm not. So why follow the rules?! Instead I made a variation of the peanut butter frosting from my cookbook... with peanut butter, greek yogurt, and powdered sugar. OMG, sooooooooo good. And silky. And protein-packed. And the perfect compliment to the chocolate-y decadence. 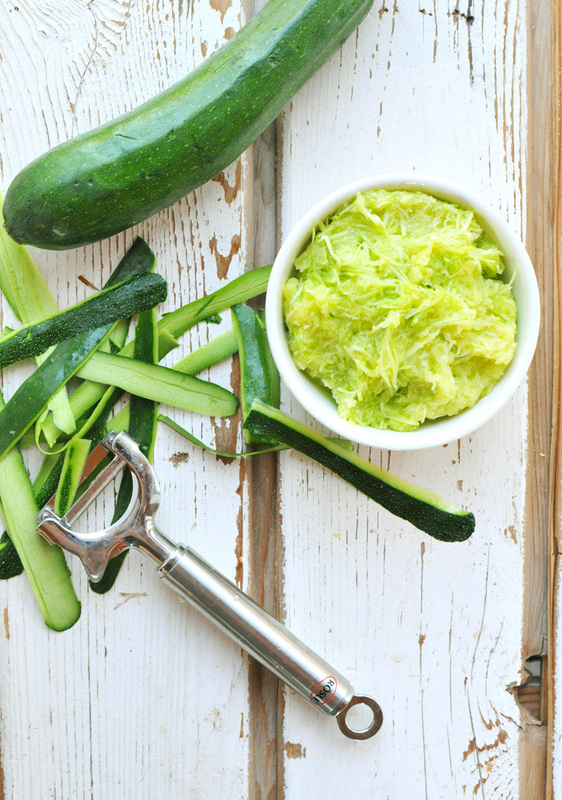 So tell me... are you down with sneaking zucchini into a cupcake? No one has to know. 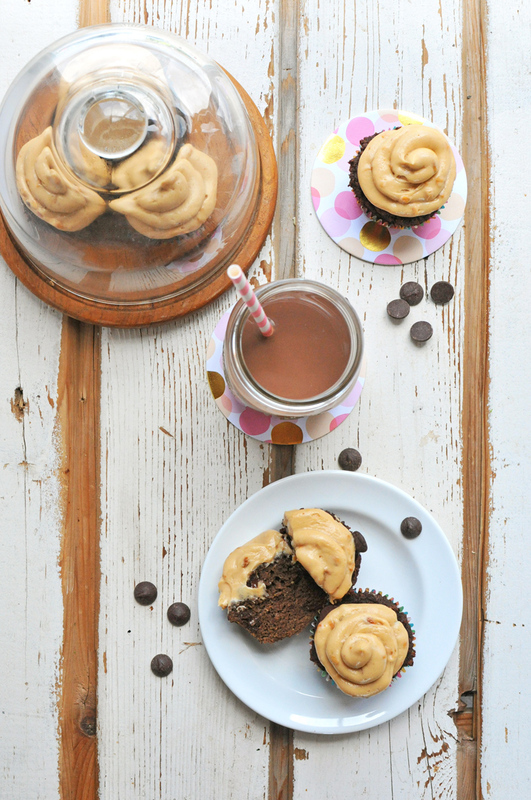 Be sure to visit Silk.com/cashew to register for their newsletter, get a coupon to try the new chocolate cashewmilk, and get more recipe ideas! Combine the wet ingredients in a large mixing bowl: zucchini, eggs, cashewmilk, and coconut sugar. Stir until thoroughly combined. 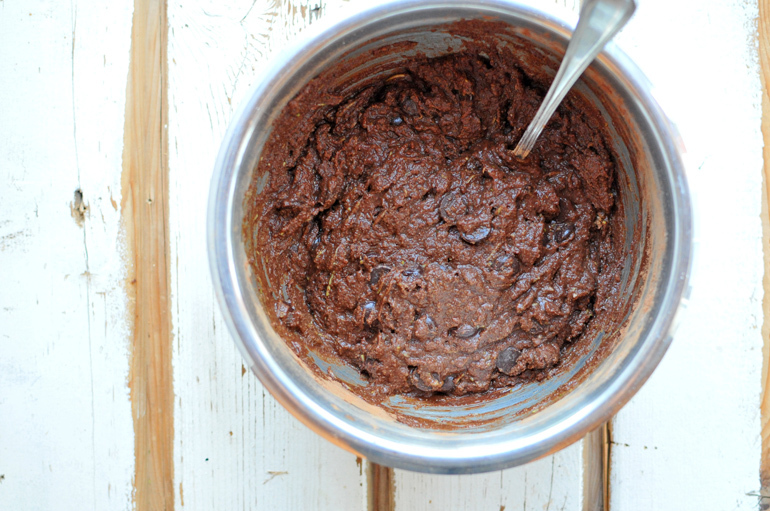 Stir in the dry ingredients: cocoa powder, baking powder, coconut flour, and chocolate chips. Stir until just combined. Use non-stick spray or coconut oil to coat a muffin tin. Spoon batter evenly, filling each cup to the top. Bake for 30 minutes. Then, take them out to cool. Meanwhile, combine the frosting ingredients in a medium mixing bowl: greek yogurt, peanut butter, and powdered sugar. Use a hand mixer to mix until smooth. Adorn the cupcakes with the frosting.